There are more than enough reasons to trust your oral health to our team at Ardelean Family & Cosmetic Dentistry. But today, we’re highlighting just one of them since it’s almost back to school for the littles in your household! Hear Dr. Shaouni explain why our dental office is a great choice for families in the Clinton Township area. Then remember to schedule your appointment so your family can return to school with healthy smiles. 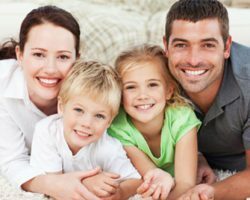 Call our office today at 586-315-8987 or contact us online to request an appointment for your family’s dental cleanings and exams!